Anyway, if you are still looking for a great gift here's a fun idea. 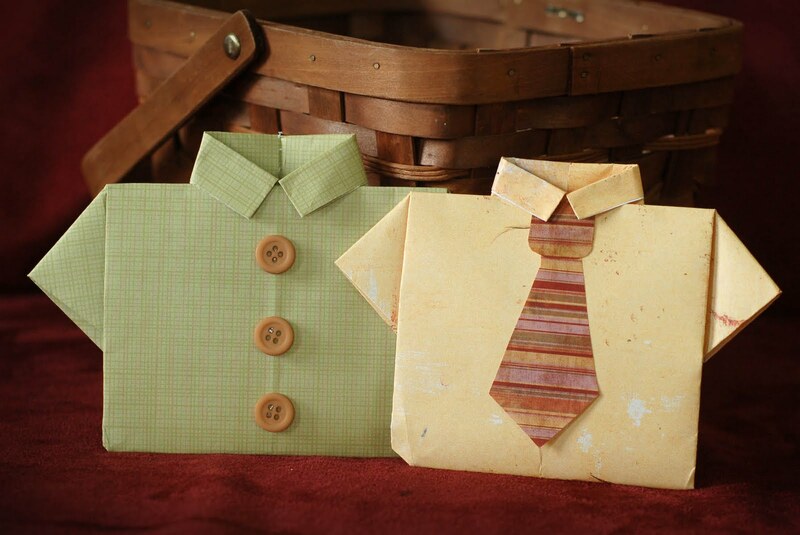 Go buy him a gift card to his favorite place and then quickly whip up one of these fun little shirts to put it in. 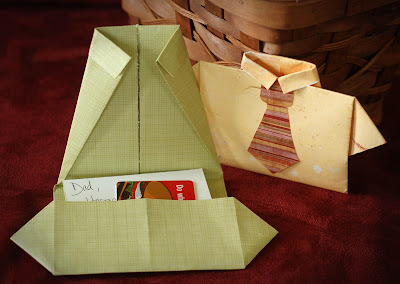 He'll love it and it's quick and easy to do. I made these a few years ago but I think they are worth re-making. Cute, right? The collar holds it together but when you undo it you can see the place where you'd put the gift card. Yep, that's a Wendy's gift card. I know, I know, I could have at least gone for Golden Corral it's "fancier" and they give a senior discount. :) Seriously though, before you knock my gift you should know that my parents serve in an LDS temple on a regular basis and it's a tradition for them to go to Wendy's after. At least this way, they had a few frosty's on me. If you are interested in making these, below are some links to some great tutorials. If you would like a featured button, I have one on this page: http://printabelle.com/?page_id=724 I also have a weekly blog party on Wednesdays and I would love to have you link up! FYI, the "How to Fold a Hawaiian Shirt" post moved. Folks are going to want to go to http://art-smart.townofmanchester.org/how_to/how_to_hi_shirt.html.